This week we’re profiling a real-world Twitter Success Story. We’ll show you how Effing Oyster — a remote oyster farm on Canada’s Pacific west coast — was able to use Twitter to bypass traditional supply chains, connect directly with customers, find new markets, and grow sales by over 30 percent in one year. Use Effing Oyster’s tactics in your own Twitter marketing and perhaps we’ll be soon be writing about your Twitter success story too. 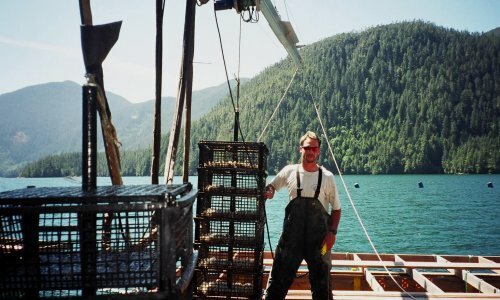 Up until the beginning of 2011, Effingham Inlet Oyster Farm was very much like any traditional aquaculture farm. Its products were distributed locally and regionally, and like many other small businesses at the time, sales were flat. In January of 2011, General Manager Rob Tryon realized that the necessity is often the mother of invention, and finally decided to pay attention to the buzz he was hearing about Twitter. In a quest to see if he could somehow use this social media platform to find new markets for his premium oysters, Rob created the Twitter account @effingoyster, a cheeky nod to the location of his oyster farm at Effingham Inlet, Barkley Sound, British Columbia. Given what Tryon describes as the “old-school” attitude in the seafood distribution industry, he found that none of his existing distributors were on Twitter. Trying to find new distributors with a Twitter account proved equally fruitless. Never one to accept the status quo, Rob decided to skip the middleman altogether in his quest to build strategic relationships on Twitter. Instead, he decided to seek out influential food bloggers, restaurants and chefs, in cities like Montreal, Toronto, Vancouver, New York and San Francisco — some of the largest target markets for oysters in North America. Thanks to creative marketing tactics like irreverent hashtags (see image above) and tweeting about hot topics like the nutritional value of oysters, the Effing Oyster Twitter handle became an instrumental tool in the development and awareness of the brand. 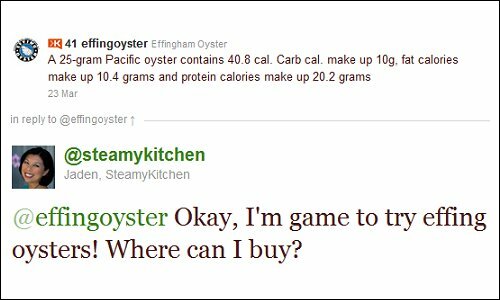 Before long, restaurant patrons, owners, and celebrity chefs with massive Twitter followings (like @steamykitchen below) began retweeting Tryon’s posts, uploading images of Effing Oysters, and inquiring where and how they could order these so called “effing oysters” for themselves. “Now I’m getting inquiries from places as far flung as Tulsa, Oklahoma and Milwaukee, Wisconsin and all points in between, asking about my premium oysters,” says Tryon. Not bad for an oyster-farmer tweeting from one of the most remote places in North America! Tryon has done the math and crunched the numbers, but he’s still amazed at the outcome of his efforts on Twitter. “Business has increased by at least 30 percent, directly as a result of Twitter,” he says, basing his numbers on sales to four new distributors he met through the consumer-generated inquires on Twitter. Mr. Tryon has recently launched a new brand on Twitter, @mr_seafood, where he hopes to expand upon the lessons he learned with the @effingoyster brand. “The seafood industry has always been a bit of a closed shop,” says Tryon, but he’s looking to change all that through the strategic of use of social media. “People want to know where their food comes from these days, and they want to know how it’s been harvested,” he says. Using Twitter to turn his industry’s supply chain on its ear, to connect with customers directly, and to take calculated risks in style and content, Mr. Tryon has indeed proven that the world is his oyster! 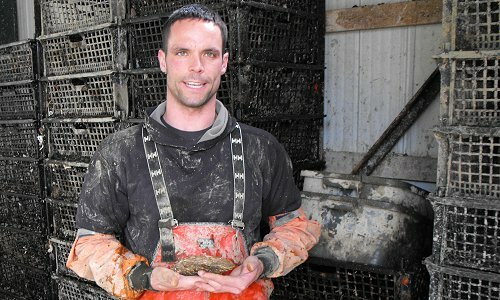 Feel free to connect with Rob Tryon on Twitter (@effingoyster) and ask him about his Twitter success story. Do You Have a Twitter Success Story? Have you achieved some serious business goals using Twitter? Has it increased your sales, have you recruited some great talent, or have you gotten some great publicity for your business as a result of Twitter? 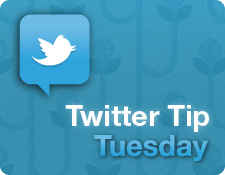 If so, we’d like to hear from you and possibly feature your business in an upcoming Twitter Tip Tuesday article.